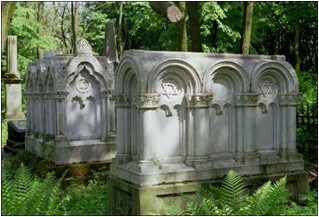 Until the outbreak of World War II, Poland was an important Jewish cultural and spiritual centre. Warsaw’s Jewish population was then about 400.000, which was almost one third of the city’s total, and the largest Jewish population after New York. The vast majority of this strong Jewish community perished during the Holocaust. However, traces of the original Jewish community remain. The tour includes: Jewish Cemetery, Nozyk Synagogue, Jewish Historical Institute, sites connected with the Ghetto Uprising of 1943, the Memorial of the Heroes of the Warsaw Ghetto, the Judenrat Building, Anielewicz’s Bunker and the Umschlagplatz. The price includes: deluxe coach transportation and English guide assistance.